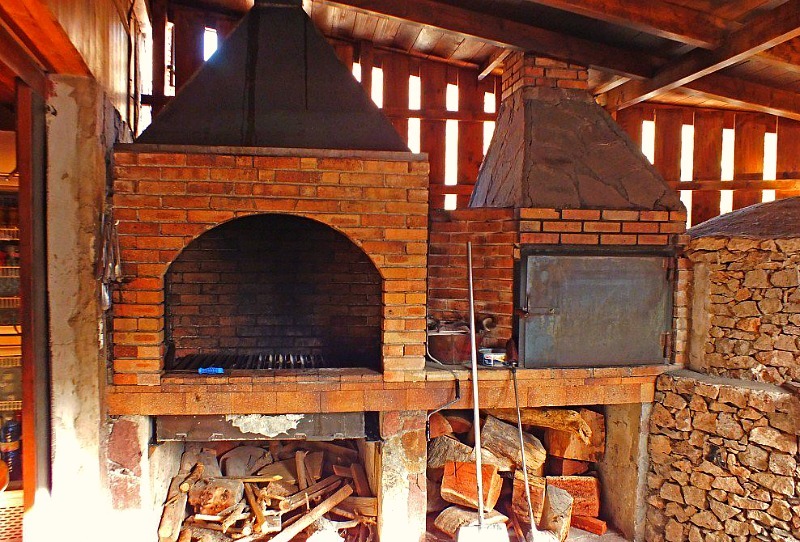 The popular rustic Restaurant Las Cañadas Grill is laying on the country road between the Mogán town and La Aldea de San Nicolás. 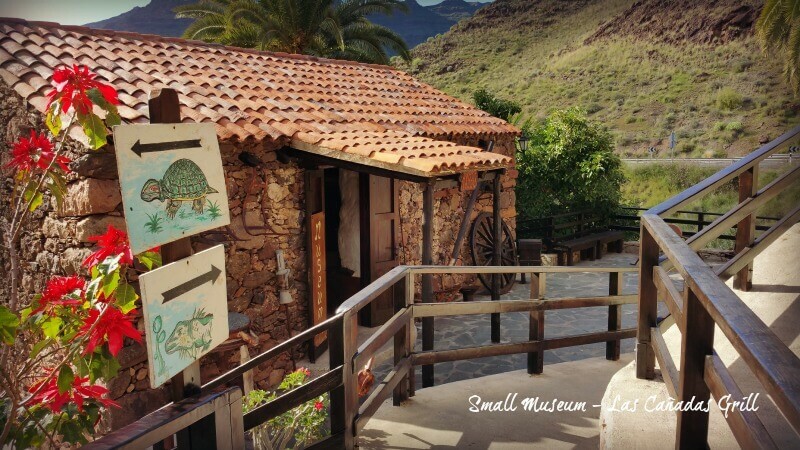 Famous for their fresh fruit juices, their Canarian tapas, the small museum and the picturesque views over the Veneguera valley, it’s one of those places we really would like to recommend to you. 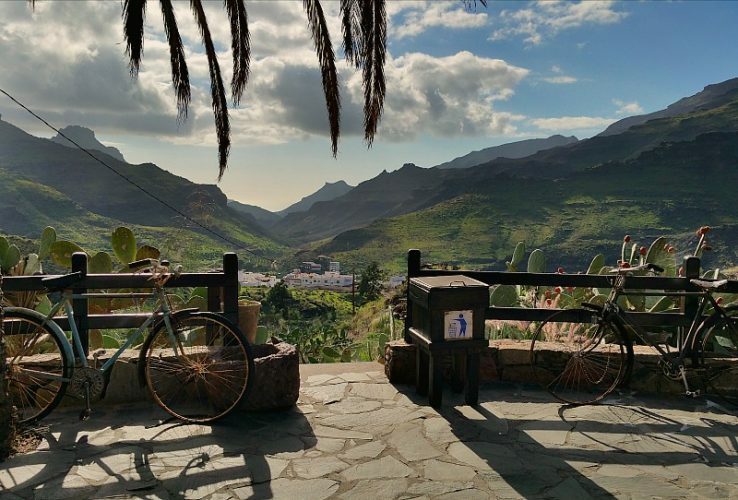 The views over Veneguera are simply amazing. Especially if you happen to visit Gran Canaria in the winter months. 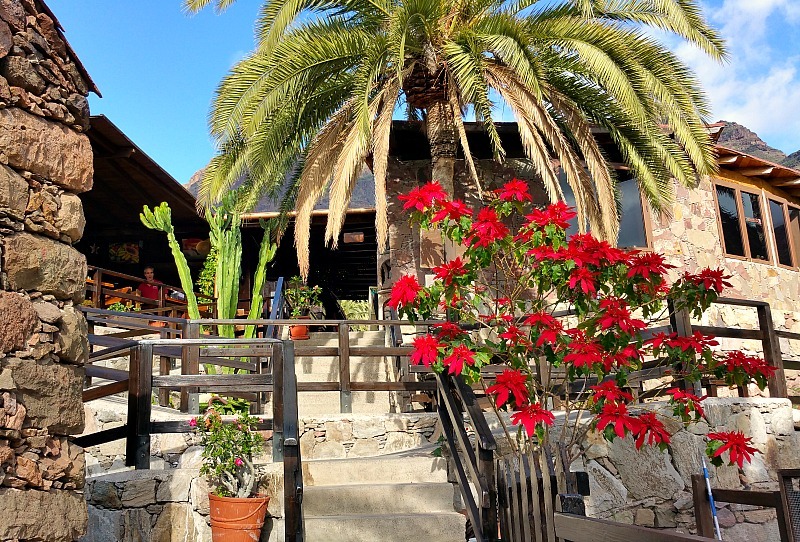 It takes about 10 minutes to reach this restaurant from the Mogán town and about 25 min from Aldea de San Nicolás. From the restaurant to the virgin beach of Veneguera it takes about 40 minutes by car, as most of the road is an old dirt track. Many people start their walking tours here, like the round-trip to Veneguera, Tasarte or the Ruta de los Azulejos. The short routes take about 1,5 hours and the long routes can take 3 to 4 hours. Scroll down to watch the video of the restaurant and the area. Las Cañadas Grill opens at 9:00 o’clock in the morning, ready to serve breakfast to locals and people who are exploring the island. 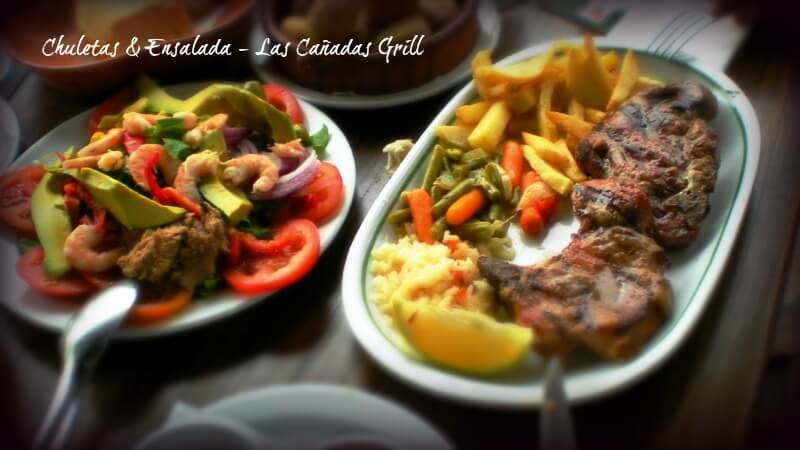 They specialise in typical Canarian tapas and dishes, which you can choose in two sizes: half plate (media ración) or full plate (ración entera). 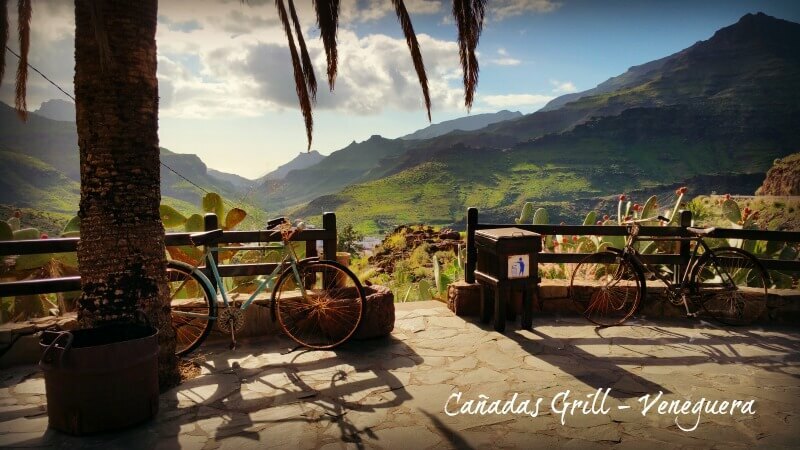 As this restaurant is very popular amongst the Canarian locals and residents, be advised that it can get very busy on the weekends. 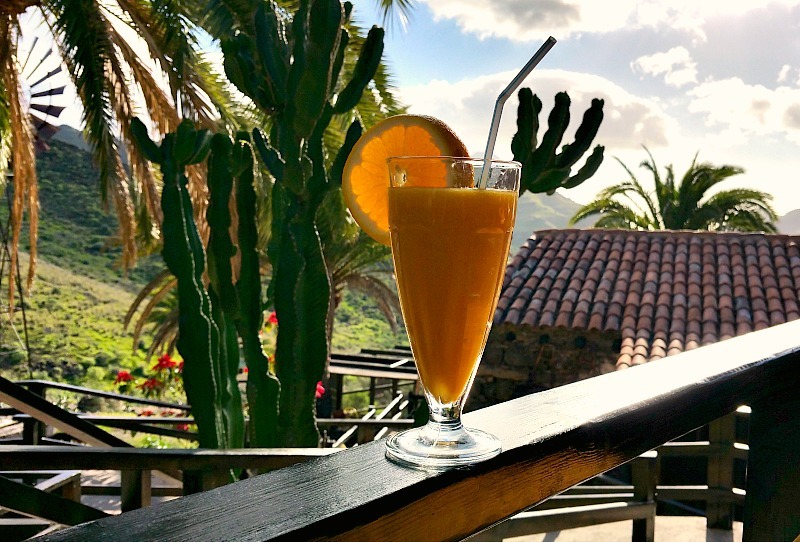 Las Cañadas Grill is well known for their delicious fruit juices. They use fresh orange juice as a base. You can ask them to add bananas, mangoes, papayas, melons or any other fruit of your choice that are in season and available in the kitchen or shop. 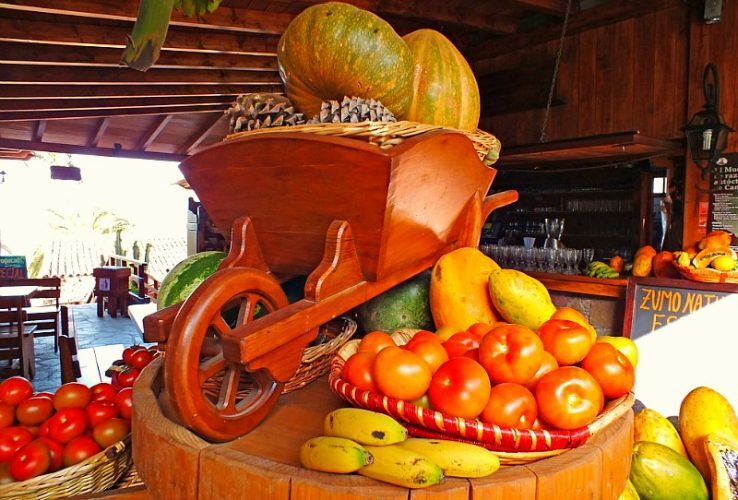 Just look at this fruit and vegetables display at the entrance! 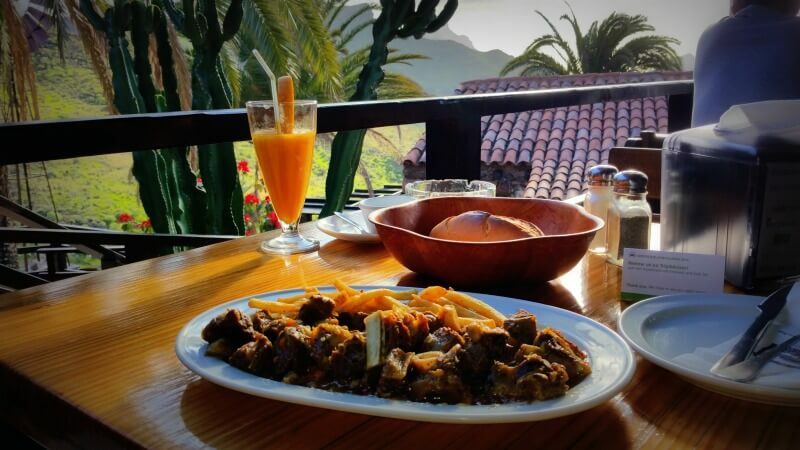 If you are planning a trip around the island, we recommend you plan to stop at the Las Cañadas Grill for lunch or dinner. You can enjoy the idyllic surroundings and have a short stroll around the area. It closes at 8:00 pm. Therefore, make sure to arrive early enough if you would like to have early dinner here. 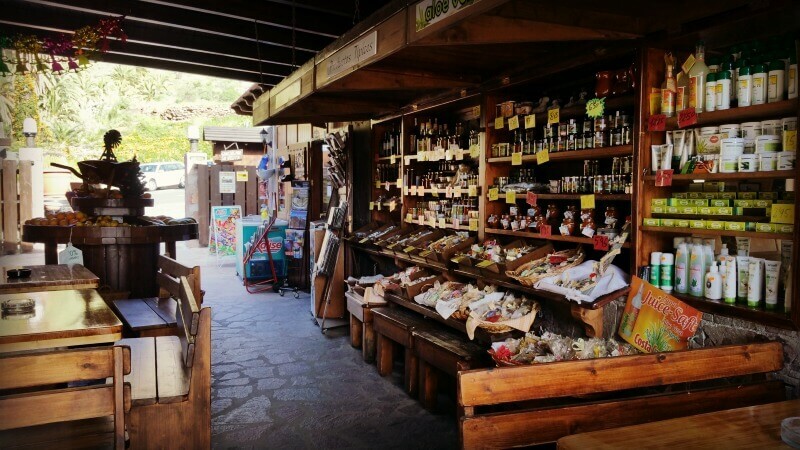 In the small Canarian shop at the entrance you can find souvenirs and typical produce like local honey, rum, olive oil, Aloe Vera products and much more. All made in Gran Canaria or the neighboring Canary Islands. These old farmers houses were renovated by the current owners in 1993. 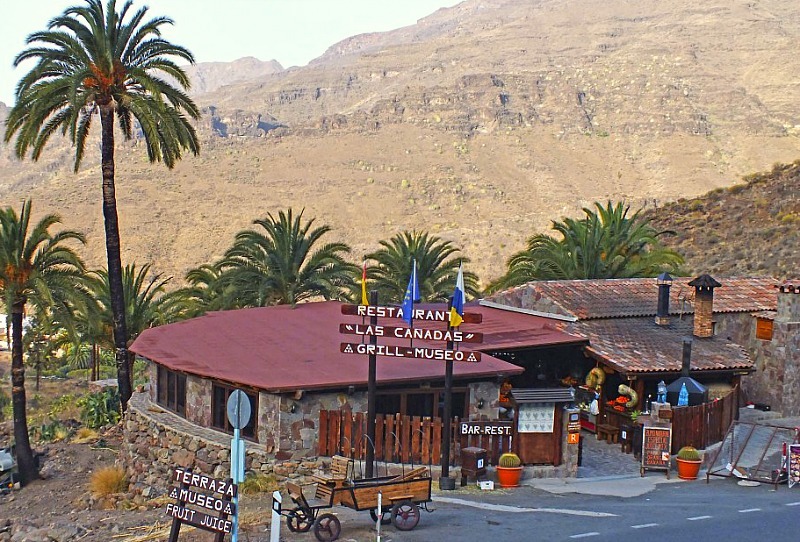 They converted the lower building into a small ethnological Canarian museum and the other into the current restaurant. For many decades, the building and surrounding land had served as shelter and home for goat and sheep farmers. 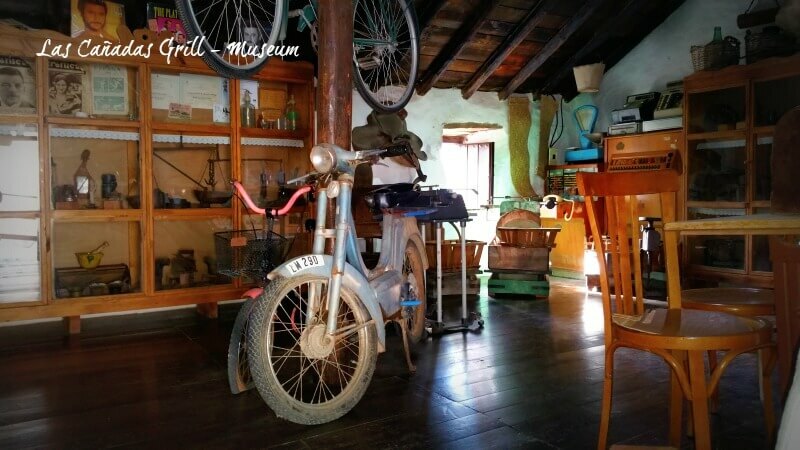 The museum’s collection of typical Canarian antiques and old utensils tells the story of how the people of this area lived their life, not so long ago. In all, it is definitely worth a visit.